Several trends are drawing increasing attention to hardware asset management, which begs the question: Do you know where your computers are? That simple question is at the heart of effective hardware asset management. The growing popularity of cloud services obscures the reality that technology is ultimately made up of physical equipment. As Andrew Blum explained in his 2012 book Tubes: A Journey to the Center of the Internet, the Internet depends on physical infrastructure. What does this reality mean for today’s IT managers? Several trends are drawing increasing attention to hardware asset management. 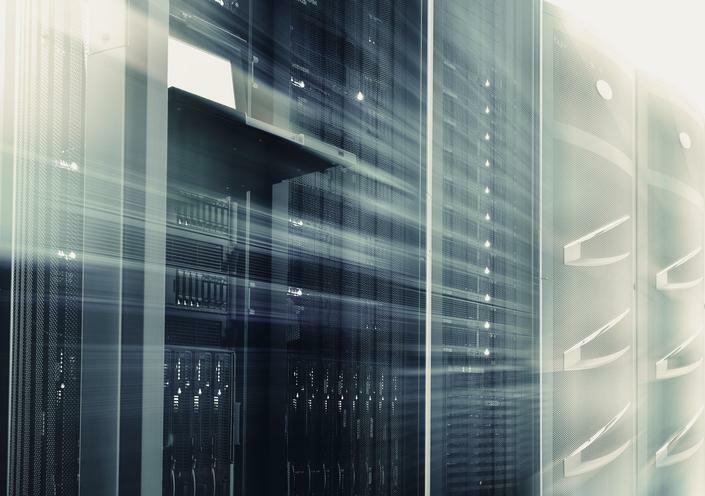 Security threats remain a significant risk for many industries, yet physical security leaves much to be desired at data centers and other facilities. Second, executives and corporate directors are looking for greater clarity regarding technology spending, and that includes spending on hardware. Fulfilling audit requirements and demonstrating effective oversight are two more reasons for adopting a structured enterprise hardware management program. Analytics is an unexplored option for improving hardware asset management. “I don’t see many organizations that have an enterprise-level analytics on their hardware, and the varying data provided by hardware manufacturers make this challenging,” Irwin says. Applying IT’s analytics to managing assets is an excellent way to demonstrate leadership. Many organizations continue to rely on spreadsheets to manage their technology assets, so IT leaders have an opportunity to improve the process by using professional tools. Most of the leading asset management tools on the market have the ability to manage software and hardware assets. According to Capterra, a service that rates business software, the top five vendors of IT asset management software are SolarWinds, ManageEngine, Oracle, CA Technologies and IBM Tivoli. CA’s IT Asset Manager has quickly become one of the most popular products on the market. It handles software and hardware assets, and CA says it has achieved significant benefits from using the product internally. According to an August 2015 report, CA saved $23 million on IT assets over a seven-year period. Before it started using Asset Manager, the company experienced several hardware asset management problems — for example, new assets were purchased even though existing assets had not been fully used. In addition, many departments maintained their own hardware asset-tracking processes, which led to inefficiencies at the enterprise level. Recognizing an opportunity, a number of other vendors have entered the IT asset management market. At present, many of the leading products emphasize managing software licenses and related assets. But selecting an asset management system is only one part of the solution. A willingness to set up an enterprisewide asset management program is essential if you want to get the best results. Optimizing hardware management offers several benefits. For example, “some organizations are focused on the environmental benefits of managing hardware to reduce waste,” Avenel observes. Electronic waste is a major concern for governments and companies. In Australia, there are more than 25 million unused mobile phones, according to MobileMuster, a not-for-profit mobile phone recycling program supported by the Australian cellphone industry. Given that mobile phones involve difficult-to-obtain raw materials such as rare earths minerals, there’s a case to be made for recycling. According to the UN’s STEP (Solving the E-Waste Problem) initiative, over 70 million tons of e-waste was produced in 2015. Several large companies, including Dell and Microsoft, currently run programs to address the problem. Another benefit of effective management of hardware assets is that it can help companies save money by enabling them to get the most out of their existing IT assets. “The starting point for an effective program is to create an inventory of all IT assets,” Avenel says. “Next, additional data is required to understand those assets — such as warranties, maintenance status and financial information.” Armed with an inventory and all the relevant information, managers will be better informed when it comes to making IT procurement decisions. However, large organizations face special challenges. “If you are running multi-national organization, there may be tax implications in transferring IT assets from country A to country B, so it is important to investigate that aspect before proceeding,” Avenel cautions. Several factors contribute to the success of a hardware asset management program, and the most important element may be executive buy-in. “Effective executive sponsorship is essential, because this effort requires process changes and internal education,” Avenel says. “The planning process begins with building a holistic business case for [IT asset management]. That includes managing operational risk and compliance matters. In addition, the business case will likely show that [asset management] improves business agility, because management will be better informed.” For example, an organization might be able to devote more resources to innovation if it saved money on hardware upgrades with an effective asset management program. However, as CA’s experience shows, obtaining benefits from hardware asset management takes time. “Even if everything is set up correctly, there is still potential to fail because management may not provide sufficient resources. [Asset management] is a journey that needs to be sustained,” Avenel says. “IT asset management processes generate large amounts of data, and it takes time to organize that data and find insights.” Once those insights are clear, IT leaders need to collaborate with their peers in finance and procurement to make better decisions. Without an enterprise view, IT asset management projects and technologies will create limited value.